How To Get More Web Traffic - Fast & Furious Or Wait? There is a huge amount of misinformation today on the internet with regard to how to get more web traffic. I want to add some clarity and provide some sound information on this topic because not all traffic is equal. There is good traffic and there is bad traffic. Plus, I would like you to keep in mind, that there is a huge amount of hype and scam artists that are willing to sell you their traffic programs, software, leads, and anything else that can generate income for them and not necessarily you. One main misconception about traffic is the assumption that, if you can generate enough of it, You can sell anything. People lose a lot of money thinking this. There are countless MLM and Network Marketing companys that provide capture pages for their product or services and members get the false idea that if they can draw enough traffic to the page, they will rake it in. This just is not true. I have seen (and experienced it myself) people get into debt thinking this way. I once purchased guaranteed paid sign ups to a company website and got totally ripped off. You do not want to experience this yourself. Trust me. So, if you want to learn how to get quality traffic to your website, then continue reading this page. It is all about traffic! Free Website Traffic – Is It Worth It? Of course not all free traffic is the same. There are many forms of free traffic. This is not an exhaustive list, but covers most of them. So, that being said, I want to mention that the best free traffic is that which is directed to an authority website. Each of these different forms of free website traffic have there place. For example, you would not typically use a traffic exchange to promote a Dog training blog or website. Nor would you promote a money making opportunity in a Facebook group dedicated to women’s clothing. They are just not relevant to the respective niches. These differences are fairly obvious, but I have seen marketers use these free types of advertising completely wrong. 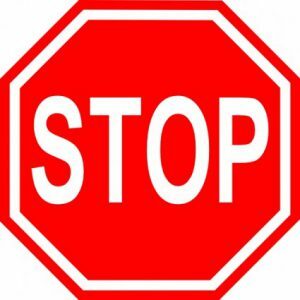 For example, you should never advertise a MLM companys replicated website in a traffic exchange or safelist. At bare minimum you would want to advertise a squeeze page offering a free gift of some type to capture an email so you can promote to the prospect later and as often as you want to. This would be a more appropriate way to use a traffic exchange, safelist or viral mailer. Traffic exchanges, safelists and viral mailers actually work, if you use them correctly and with the right capture page and freebie give away. But, just like most free traffic sources you are trading time for results. It takes more time to use these sources and in my opinion, you would be better off doing content marketing and using free organic traffic. We will talk about those methods later on. The rest of the free website traffic methods listed above should be primarily used for authority website and niche blogs in my opinion. Having your own web presence is the most efficient way to use these particular traffic sources. For example, posting your latest blog post in a relevant Facebook groups is far more effective than spamming a MLM or Network Marketing ad in a Facebook group. Facebook groups used for spamming purposes is the biggest waste of time the internet has ever created! This is a very easy question to answer. NO! If you saw an ad offering you thousands of visitors for $20, you are about to get ripped off. Plain and simple. Most of this type of traffic are bot traffic. That’s right robot traffic that has no human being associated with it. If it is not bot traffic, then it will probably be incentivized traffic. Incentivized traffic is traffic that only clicks the ad because they get something for free, whether that be a few cents or coupons of some sort. Stay away from this type of traffic. It will only crowd your website and make you look very unprofessional. In fact, I knew a website owner whose system crashed because one of his affiliate purchased some “crap” traffic. Some companys will even go as far as trying to sell you “guaranteed sign ups” for generic MLM leads. They will claim that these so called sign ups will work for any and all Network Marketing, MLM, or affiliate marketing companys. Again, stay away from these, trust me on this one. I have fallen victim to these as well. In a nut shell, if it sounds too good to be true, it most certainly is NOT TRUE! This leads us to the next section. Traffic training is certainly needed in this industry to protect us all from the traffic scammers. you see, scammers are not just in the business opportunity market, but in the website traffic market as well. There are a huge number of traffic training courses available online these days. Just look at JVZoo, clickbank and some other affiliate network. Traffic generation is big business and there are a plethora of traffic training available. Some are good, some are bad and some are down right over-priced! Then there are the ones that are completely out dated and you need to be super careful about those. For example, some black hat back linking training out there that promises you great traffic to your blog by purchasing manufactured backlinks to your website can take a site from a good search engine ranking to a never ranking again website. In my opinion, you should never purchase a back link to a website, but that is another topic entirely. Back links should come to your website naturally because of your good content. That is what the search engines want, is good content. Like I said, current training as well as teaching evergreen strategies is the is what a good training course should emphasize. If you are looking for training like this I highly recommend you take a look at The Wealthy Affiliate University and try out their free 10 lesson entrepreneur certification training. So, the best website traffic available online is definitely organic traffic generated from an authority website. There is no better way to make a passive income producing machine than to run an authority niche website that generates daily organic FREE traffic from King Google. There are billions of searches being done on google from people who are looking for products and services that these authority website have to offer. The way to drive this type of traffic is by practicing sound white hat Search Engine Optimization (SEO) on a blog or website. The exciting part is that anyone can do this. It is not hard to learn, but does require work. But, to keep things in perspective, the work is much easier than it was to learn our current 9 to 5 jobs. Just think about when you started you current jobs. Remember the first day. Did you know what you were doing, or did you get trained somehow to do your job as efficiently as you do now (hopefully, lol)? I can tell you one thing and that is that if I can learn this stuff so can you. 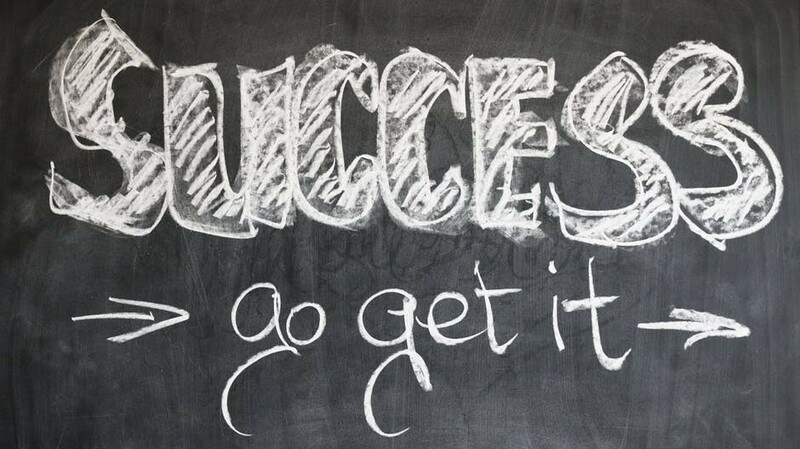 It’s just a matter of learning what it takes to be successful in developing ongoing daily traffic. This leads us to the very, very, very best traffic on the face of the earth! Keyword targeted website traffic really comes in two different forms. It can be organic traffic as mentioned in the section above this one, or it can come from paid search engine traffic such as Google Ad words or Bing Ads. What makes this type of traffic unique is that it is the direct result of someone searching for a specific topic from the search engines. You most likely have conducted searches on the internet like this yourself. You type in a search phrase into Google looking for something, and you expect that you will see relevant results from the search engine. So, if you type into the search bar, “size 10 white Nike basketball shoes” you will expect to see size 10 white Nike basketball shoes. And, the real exciting part is, if you are the one who owns the website that produces the results for the search, there is a good chance you just made a sale. That my friend, is the way to make money on the internet. You can see why I am categorizing this as the very, very, very best traffic on the face of the earth. Let’s take the example above for a minute. The phrase “size 10 White Nike Basketball shoes” is a keyword phrase that I am assuming gets a lot of search results. If not, let’s pretend it does, remember this is just an example. There are many other search terms like this that are searched every day on the internet. And there are tools available to provide these keywords for you as well as training on how to use them. One tool I recommend is Jaaxy keyword tool. It is simply the best keyword SEO Keyword Research tool available online today. Check it out for free here. I hope you enjoyed this post and if you have any questions or comments, or if you have any website traffic ideas to share, feel free to comment below. you know I believe that this is a challenge to everyone that has a website especially those who have just started out. You are right about what you said. There are so many programs out there that say that they have the answer only for you to find out that, the money that you invested in their program went down the drain. But once you build a website from keyword searches that can get you a good ranking in the search engines you are well on your way to traffic building. Thanks so much for the feedback Norman. Yeah, there is nothing worse than joining a program that promisses the world and then “BAM” you are taken to an upsell page that basically says that what you just purchased isn’t good enough. Even if you decide not to take the upgrade, you will definitely loose your confidence and end up not using the product properly that you just purchased. It ruins your trust in the methods being taught in that particular program. If you don’t think it will work it most certainly won’t . Thanks for your thorough and thoughtful post about web traffic. I am still learning so, for me, the tried and true methods done the right way seem the best way to go. I’m not sure I could handle “fast and furious” and buying the so-called “quality traffic” has about as much appeal as buying votes. Hmmm. I agree that the best traffic are people who are drawn to your site naturally, because they are interested in what you offer. Hi Netta, you are absolutely right. The fast and furious methods will take you “no where fast”. LOL, I have been there done that. Buying so called “quality traffic” is like buying backlinks. It can get you into trouble in the end. Another analogy is like having to root plain your teeth. You pay the big bucks to have your teeth fixed by root plaining and it never really solves the problem. It would have been much better to have simply taken care of your teeth by brushing a flawsing every day. There is nothing better than obtaining targeted organic traffic to your very own hosted website. 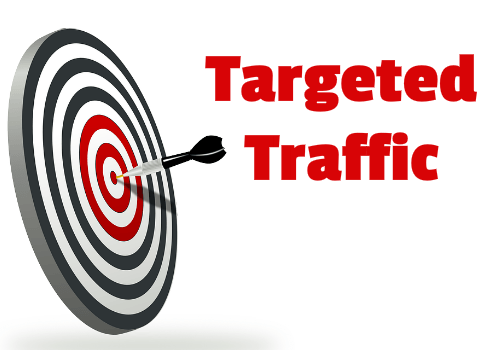 Traffic in internet marketing is a crucial and very sensitive topic. You dealt well with it in a lay man’s language. For one to succeed on online business one cannot do without traffic. That is why fraudsters device several ways of doping people online. I have even falling pray myself but I discovered it quick enough to take my run. So many ways of getting traffic as you have written above. Any visitor that comes to your site will have something to take home. Very Very informative. Thank you for your feedback Bibian. 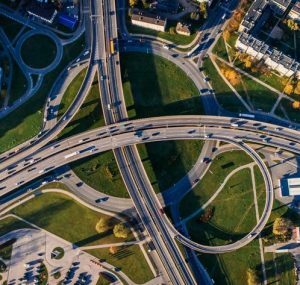 Yes, traffic is a very important subject and the thing is, the more of a foundation you have for your business, the easier it is to use each of these traffic sources. For example, it is much better to post a Facebook post about an authoritive blog post than it is to simply spam out an affiliate link. If you look at the Facebook marketing groups you will see many examples of the wrong way to use that traffic platform. The same is true with Safelists and Traffic Exchanges. If you had a real good landing page created from a professional landing page WordPress plug-in and then led your prospect to valuable content, you would get much better results and natural back links to your website. These, of course are just examples of why you need a good foundation to base your website on. The authority website is the best route to take. Thank you kindly for this rather eye opening article about the vast amount of different free traffic sources. It is really appreciated thanks. I totally agree with you in regards to it all being about the quality rather than quantity the traffic generated. Gotta say, outside of good solid SEO (80% of my traffic!) my next top source of traffic is direct traffic, people typing in my sites URL. that can too be optimized by using a few branding techniques and establishing a site as a brand as well as an authority in a given niche area. The other top free traffic source of mine – you brushed on it – referral traffic, backlinks. That is exactly why backlinks should never be bought for ranking purposes – there is no human element. A link can (and still will in 2018) increase rankings which does bring in additional organic traffic. But a genuine backlink will have that additional human element of people actually following that link by clicking it and landing on your site – thus a good natural backlink being a good source of free traffic. Hi Derek, thanks so much for your input. Yes, the authority and branding element you mention is key. Plus I also agree with your assessment on the use of back links, Natural back links are the best for sure. I believe the branding element of your website will increase natural back linking to your site. Like most bloggers, I do struggle with ways to drive quality traffic to my website.Or otherwise said, I do struggle to drive any traffic. Now you mention some good sources I had not thought of before, safe list and forums had never really crossed my mind. Like many new frustrated bloggers, I tried buying website traffic in the past, what a waste of money. As you mentioned in your post, good content and in my opinion consistency is what works, give readers what they want. Now you mention a good keyword tool,Jaaxy, never heard of it, I know almost everything online costs, how much is Jaaxy membership? just curious, I`m not in a position to invest more money on my blog right now but if the price is right……. Really appreciate you sharing this, very informative and well written. Hi Roamy, yes Jaaxy is an awesome keyword and research tool. You an actually try it our for free. You get 30 free searches. There is also a Pro version that is $49 a month, which is what I use. Although as a Wealthy Affiliate member I only have to pay $19 a month. So Wealthy Affiliate members get a great discount on the pro version. Also as a member of Wealthy Affiliate, you can get the pro lite version which has unlimited searches and is an awesome value. It is free for Wealthy Affiliate premium members. This is the best value for sure. Thanks for your feedback. I have to admit that I have been struggling with the new website I built a few months ago. I don’t know anything about blogging and traffic and I really feel the traffic training program is going to help you. I am getting an account right after this. I had a question too, do you get to ask questions and get instant answers on the live training? Hi Dave and thanks for stopping by. Yes, during the live trainings (which are recorded) you can ask questions in a chat room setting and the live training coach will answer your questions. Sometimes he will answer them right on the spot. Other times he will answer them during a half hour question and answer period he has at the end of every live training. Oh, by the way, the live trainings are top notch stuff. I have paid hundreds of dollars for training courses that are not as good as these live trainings. Seriously. The live trainings themselves are worth it. Not to mentioned all of the other training platforms within Wealthy Affiliate. Great advice! Absolutely – quality is always better than immediate quantity. Organic traffic gained by following the training provided at the university you link too is almost certainly going to lead to more QUALITY traffic, and even likely a higher quantity of traffic in the longer term – where a short term ‘fix’ might get you a huge boost in the short term, this won’t translate into real world results.